Choosing what to wear for a job interview can be a daunting task—especially if you happen to be interviewing with Anna Wintour herself. But the Vogue editor in chief revealed some wisdom that might actually put your mind at ease. 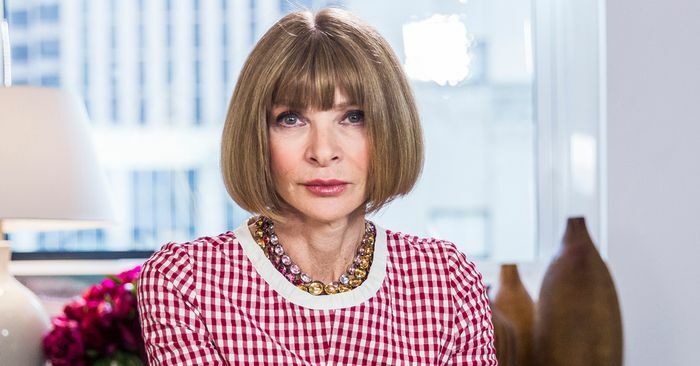 In a new episode of the magazine’s Go Ask Anna video series, Wintour answers a reader’s question about what someone should wear for an interview at Vogue, and you can bet we’re taking notes. She went on to give an example of an interview outfit she considered to be particularly memorable. “I’ll always remember a young man who came in in a dress and a handbag, and I gave him the job on the spot. You have to dress for yourself. I think it doesn’t do yourself a service to fake it.” Amen to that. Scroll down to watch Wintour’s full video, including her thoughts on the Kardashians’ style and her take on leggings.